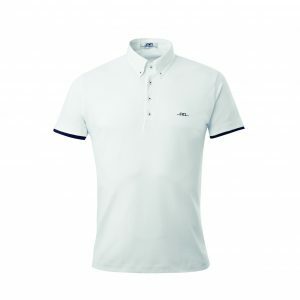 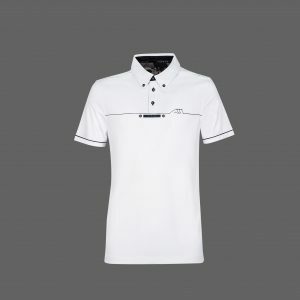 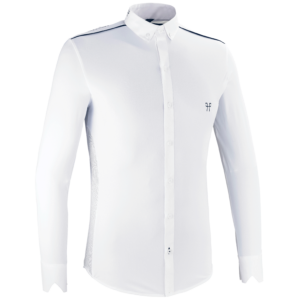 The Equiline Fox is a short sleeved mens competition shirt produced form X-Premium technical piquet material. 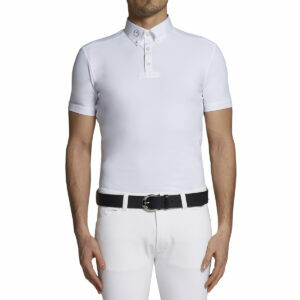 X-Premium piquet offers a technical, breathable and elasticated layer to keep the rider cool. Finished with a button down poplin collar and cuffs and removable rubber tie clasp. 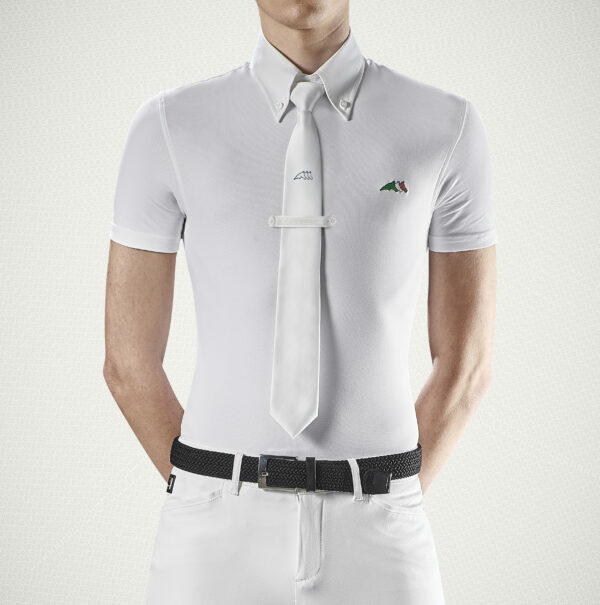 Featuring the Equiline outline logo on the chest.